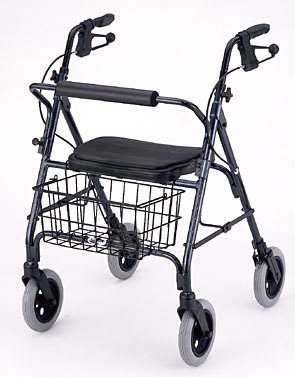 The Mack four wheel walker/ rollator offers many great features in a heavy duty 4 wheel walker. The rugged heavy-duty frame has a 400 lb. weight capacity. The extra large seat has a built in removable rubber cushion that provides incredible comfort. The large 8" solid rubber tires provide extra stability on any terrain. 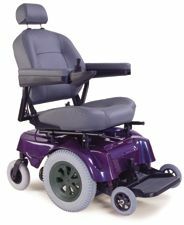 The easy to remove backrest reduces the amount of space needed for transporting. Seat Height to Ground 22.5"
Adjustable Height 34.5" to 39"